Fantasy IDP leagues have been around for as long as the game itself. While not for everyone, IDP league add an entirely new level of challenge and enjoyment to the fantasy game. But if you have never played in an IDP league before they can seem confusing and maybe a little intimidating. So we’ll try to break it down for you. In most standard fantasy football leagues, each team may have the option of drafting and starting a team defense. That team defense typically scores points for you based on how many points are scored against it, and how many big plays the defensive units generates. While this format makes for an easier-to-manage team, the downside of this format is that the performance of team defensive units usually has more to do with the offense they are playing than the quality of the unit itself. Besides, where’s the fun in choosing an entire half of a team to play as a single unit? You’d never play in a league where you had to start a team offense instead of a QB, RB, WR & TE, would you? With the IDP format, you start specific defensive players instead of an entire team defense. Some IDP leagues start just a couple defensive players, others start as many or more IDP’s than offensive players. Each defensive player is scored based on their individual performance. They earn points for tackles, sacks, interceptions, defended passes, and of course touchdowns scored. The IDP scoring systems are as diverse as the offensive scoring systems, so just as with the offensive side of a fantasy team, it’s critical that you understand the IDP scoring system and lineup requirements of your league. Even though IDP leagues have been around for a long time, there really isn’t a universal “standard” scoring format. Just as the offensive side of the ball has two major variations (PPR and Non-PPR), the defensive side has “tackle heavy” scoring and “sack heavy” scoring. Tackle heavy leagues are just like they sound – they diminish the pass rushing specialists and reward the guys making the tackles. The 4-3 middle linebackers, weak side linebackers and safeties are the main beneficiaries in this scoring system. The players taking the biggest hits are 3-4 outside linebackers. Rarely do the 3-4 outside linebackers accumulate high tackle numbers as most of their damage is done bringing down the quarterback. If they fail to record a sack in the game, odds are you’re stuck staring at a goose egg and there is nothing worse than a player giving you zero points for the week, offensively or defensively. On the flip side, sack heavy scoring rewards the gamblers who draft sack specialists. Sack heavy scoring leagues are considered any league with a 5:1 sack to tackle ratio. For example, if a solo tackle is worth one point and a sack is worth four points, the sack will actually register as five points because the sack is counted as a tackle too. If you get points for tackles for loss, you get an additional bonus for the play. Your tackle heavy linebacker is going to have to record five solo tackles to offset the one sack. Obviously, you want to find the players who offer high upside in both formats. Ideally you want to use a scoring system that finds a balance and suits the interests of the entire league. Before you can answer this question you have to know how many IDPs each team must start. basic IDP leagues often only use three to four IDPs. In this scenario, you should probably only take them late in the draft and carry few if any IDP reserves. The waiver wire will be littered with plenty of plug and play options each week. 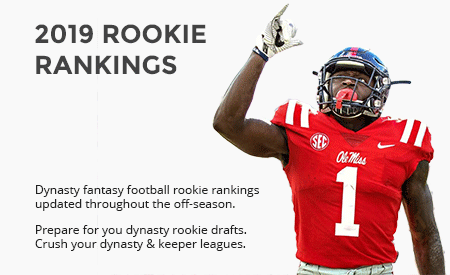 You can very easily use weekly rankings from various sites to find a suitable IDP lineup. Deeper IDP leagues start 2 DLs, 3 to 4 LB’s, and 2 DB’s. Some leagues require DE’s and DT’s be listed separately instead of being lumped together as DL’s, and the same for CB’s and SF’s instead of DB’s. in this format defensive players should be drafted much earlier, with some elite IDP’s being drafted as early as the third round, though the fourth or fifth round is a more typical starting point for drafting IDP’s. IDP leagues are just another variation of the same game you play now. It might seem overwhelming at first because you may not know the defensive players as well as you know the offensive players. But that’s what we are here for – to help you learn the IDP game and know the defensive players as well as you know the offense. The following resources will help you in that journey. 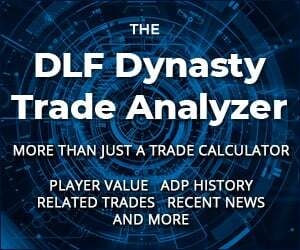 Our IDP section of DLF will offer regular articles and insight into the IDP world. The IDP Discussion on the DLF Forum is a terrific resource for connecting with other knowledgeable members of the IDP community. You can always reach out to our IDP team members by hitting us up on the Contact Us form. 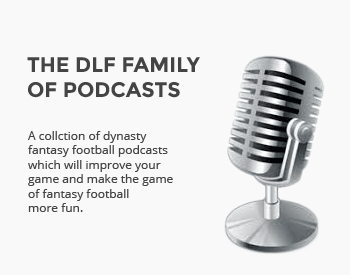 Finally, be sure to follow the DLF IDP guys on Twitter.